Cooking With Mickey: Walt Disney World Restaurant Refurbishments! Walt Disney World Restaurant Refurbishments! Disney is making some changes to it's restaurants. Over at the Magic Kingdom Plaza Ice Cream Parlor is closed now through March 27, 2012. 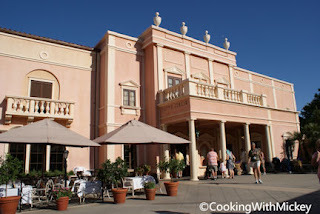 Over at Epcot Tutto Italia Ristorante is closed through April 30th. It will reopen with new flooring, furniture, lighting and decor as well as changes to the outdoor seating. In addition there will be an updated menu. Next door to Tutto Italia will be Gusto Wine Bar which will be designed like an Italian wine cellar.